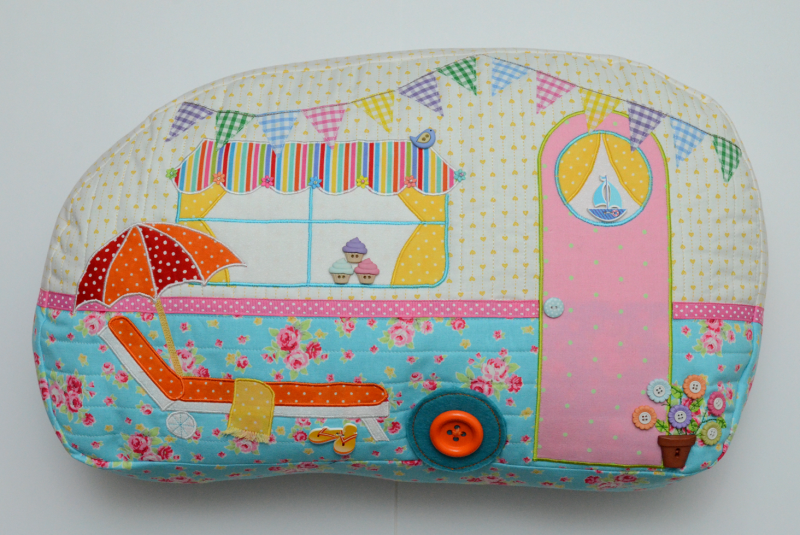 Keeping with the caravan theme, this beautiful caravan shaped cushion will grace your home, caravan or even a conservatory or sunlounge. Gail Penberthy has designed it and her attention to detail is always extraordinary. You will receive the pattern along with a selection of buttons to get you started. It measures approximately 21 x 14 inches.